Fly fishing is much more complicated than one normally thinks, and if you are a fly fisherman, you know how it is truly an art. There are many parts of fly fishing that must be handled to land fish, but one of the most important is your fly selection. The cold winter air has moved in, and most think that fishing season is over with. The truth is, the fish must continue to feed for survival so those fish are still active. The hardest part of landing the fish is choosing which fly to tie on. During the cold season, there are no insects fly and landing on the top of the water, so you must eliminate dry fly fishing. There are also no larvae nor grubs in the water, so you must eliminate nymph fishing. The most effective fishing in cold conditions is using streamers. Streamers act as replications of small bait fish throughout the stream or river, which is what the fish are feeding on this time of year. The experiences I have had with winter fly fishing are that there is always one fly that I always rely on. I know there is a lot of preference when it comes down to choosing flies for each season, but this one may make your chances of landing a fish much higher. My recommendation would be the olive green Wollybugger. 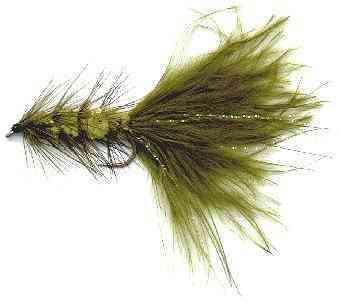 Now, these Wollybugger’s come in many different colors, but I always found that olive green was always the color of choice. If you cannot find olive green, then black is a suitable replacement. Most people look at a river or stream and just see running water, but t o a fisherman it is a beautiful complex puzzle of where to throw your line first. When fishing and looking for that fish of a life time, the water conditions and geology means more than you could imagine. 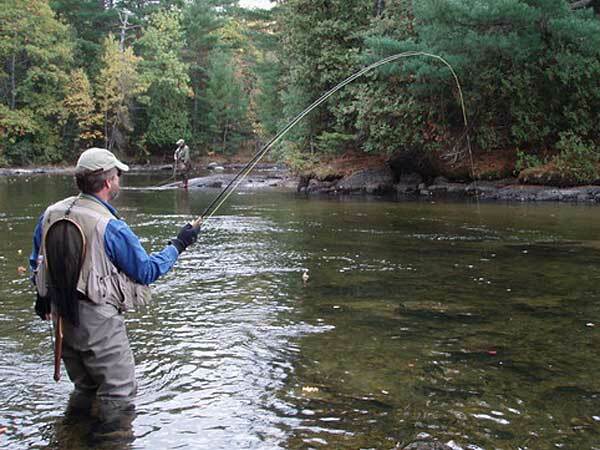 The knowledge of the water type is very important when it comes to how to fish the water or choosing which fly to use. There are three typical variations of water. These variations consist of teacolored, crystal clear and milky-white colored water. The difference between the three are very important in the eyes of the trout because they all works are different levels of fertility. Tea colored water indicates that it is not very fertile. That meaning there are not many minerals given off by the geology which usually consists of granite rocks, in the water aiding the organisms in growth to the large sizes that they have the potential to grow to, especially the trout. These waters do have other factors to indicate that the water may in fact be more fertile than just the water color. One of the major signs in these tea colored waters are to see if there is algae growing on the rocks covered by water. If so that means the water is more fertile, but still not the best conditions. The most ideal waters are the ones that are truly unique and beautiful in many peoples eyes, and those are the crystal clear and limestone streams and rivers. These waters are mostly consisted of either limestone or marble geology, which both give off an abundance of minerals. The limestone streams and rivers are milky-white in color and act as the most fertile environment for all trout species. 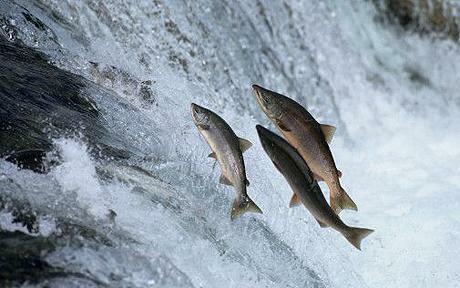 Trout and salmon are both cold-water species. Meaning these fish need cold water condition just to survive. The water must be between 50 and 65 degrees Fahrenheit to thrive. These fish in many areas are already struggling to be comfortable in these waters in certain seasons throughout the year, but the worst is yet to come. According to Natural Resources Defense Council, they explain how by 2090 as much as 18 to 38 percent of all trout and salmon will disappear and die off. The reasoning for this is because of the steady increase of water temperature as we move forward living with Global Warming. These cold water habitats are projected to rise 0.7 to 1.4 degrees Fahrenheit by 2030 and 2.2 to 4.9 degrees Fahrenheit by 2090. The projections are all depending on future emissions of heat-trapping gases and the climate model. These effects will be expected to vary by region. For trout, the largest numbers in losses will occur in the South, Southwest, and Northeast because of the drastic climate changes these areas endure. These fish species dying off will affect the workforce as well. The combined fisheries range from $1.5 to $14 billion a year. Not only affecting us humans, but it also affects the ecosystem because these fish are a vital food source for many animals such as various species of birds and bear. The start of the 2014 year al ways brings excitement with the new-year, as well as trout season being around the corner! This past year there were hundreds of lakes and streams throughout Pennsylvania that were stocked with Rainbow, Brook and Brown trout as the Pennsylvania Fish and Boat Commission usually do. The past year there were 733 streams and 124 lakes stocked with the various species of trout. They stocked a total of 8,575 trophy fish within these waters. The PFBC spreads all the fish to make for more of a fun fishing experience. 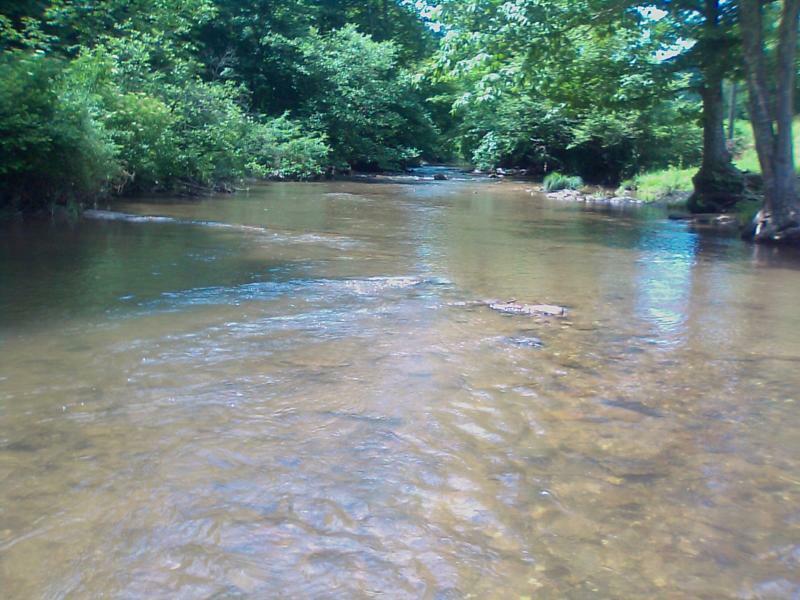 For example, when I am out fishing one of my favorite things to do is find new fishing spots. Searching for the deep hole with slow moving water where many people may not venture to may be holding that monster trophy fish everyone is looking for. This is one of the major parts of fishing that is time consuming and may even be frustrating. The amount of trophy fish stocked each year gives you plenty of opportunity to land the fish of a lifetime, but the hole you’re fishing must be perfect for that fish to thrive. Remember; put yourself in the position to land that monster fish by finding a good stream, then a good hole.